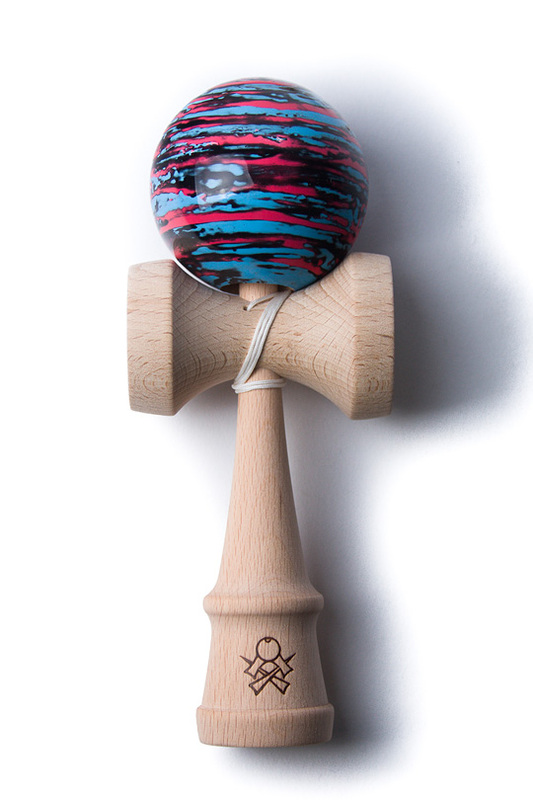 The Marble is a Sweets Kendamas’ original and fan-favorite. We’ve paired these tamas up with our new F3 Ken and introduced a few new color combos to freshen things up a bit. Marbles are painted in-house by hand, so each one is unique. These tamas are finished off with our specially-formulated high-gloss Pro Clear which creates the best of both slip and stick for great play. Every F3 comes boxed with an instructional pamphlet, an extra string and bead, and stickers. Read what Sweets says about their brand new flag ship.